Rabbit anti Bovine, Canine, Equine, Guinea Pig, Human, Mouse, Porcine, Rabbit, Rat NR1H2. 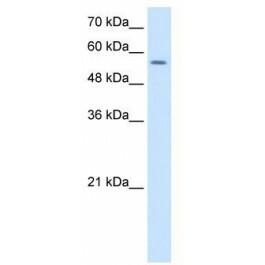 The immunogen for anti-NR1H2 antibody: synthetic peptide directed towards the middle region of human NR1H2. Synthetic peptide located within the following region: MIQQLVAAQLQCNKRSFSDQPKVTPWPLGADPQSRDARQQRFAHFTELAI. The liver X receptors, LXRA (NR1H3; MIM 602423) and LXRB, form a subfamily of the nuclear receptor superfamily and are key regulators of macrophage function, controlling transcriptiol programs involved in lipid homeostasis and inflammation. The inducible LXRA is highly expressed in liver, adrel gland, intestine, adipose tissue, macrophages, lung, and kidney, whereas LXRB is ubiquitously expressed. Ligand-activated LXRs form obligate heterodimers with retinoid X receptors (RXRs; see MIM 180245) and regulate expression of target genes containing LXR response elements (summary by Korf et al., 2009 [PubMed 19436111]). [supplied by OMIM, Jan 2010]. Transcript Variant: This variant (1) represents the longer transcript and encodes the longer isoform (1). Publication Note: This RefSeq record includes a subset of the publications that are available for this gene. Please see the Gene record to access additiol publications. ##Evidence-Data-START## Transcript exon combition :: BC047750.2, U07132.1 [ECO:0000332] Rseq introns :: single sample supports all introns ERS025081, ERS025082 [ECO:0000348] ##Evidence-Data-END## COMPLETENESS: complete on the 3' end.